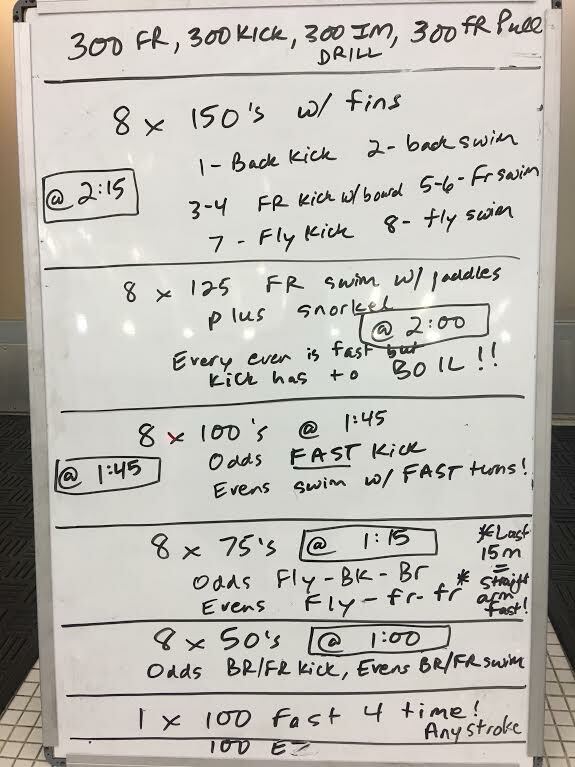 I thought we needed some cardio/legs today, we had an early AM group who just crushed this set, rest of kids are excited to do this workout later today! 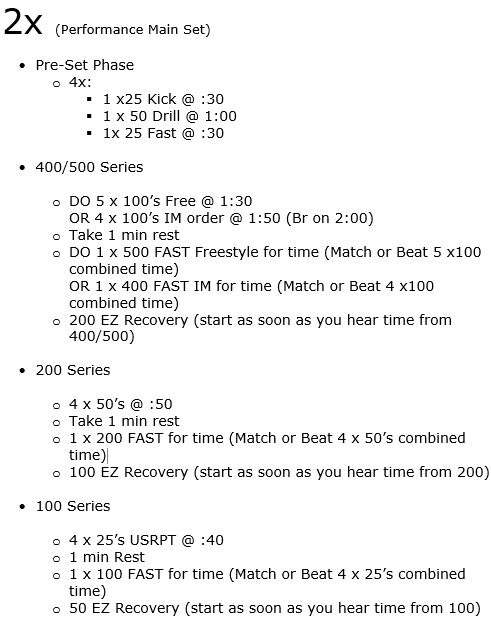 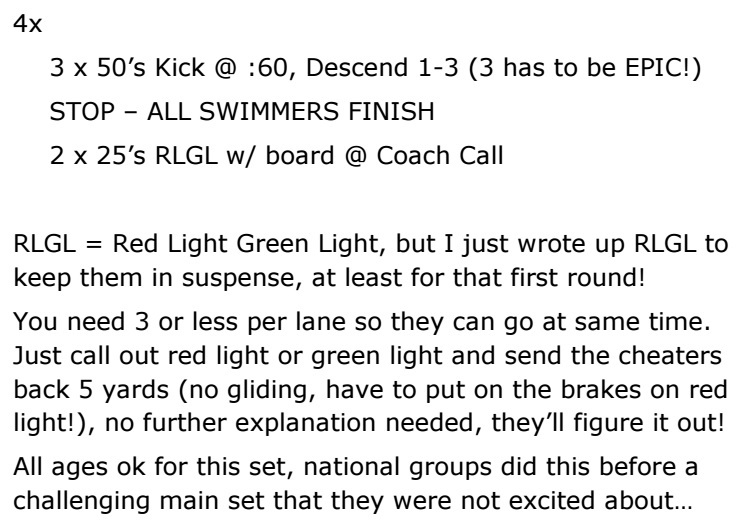 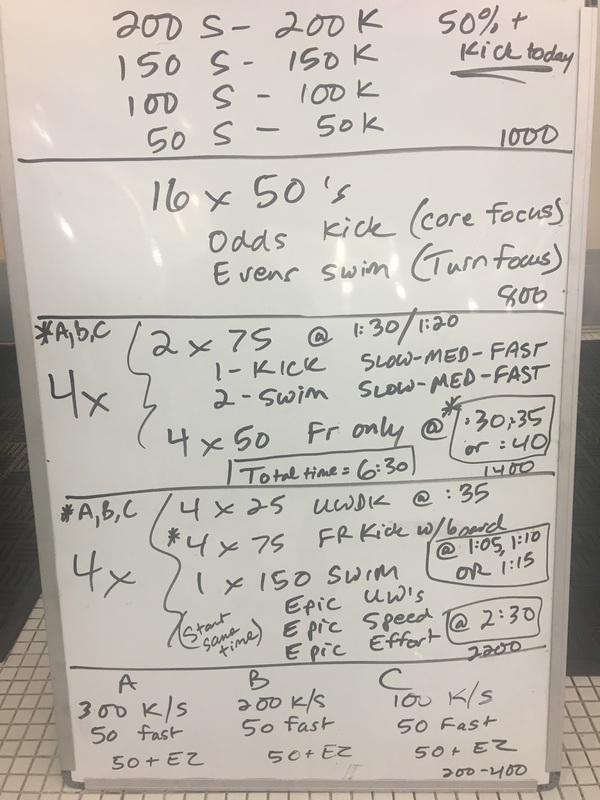 Distance Free set for our National/National Prep groups, faster intervals were for our National kids, slower for National Prep – set took a little over 58 minutes for Nat, a little under 1 hr 10 minutes for Nat Prep. 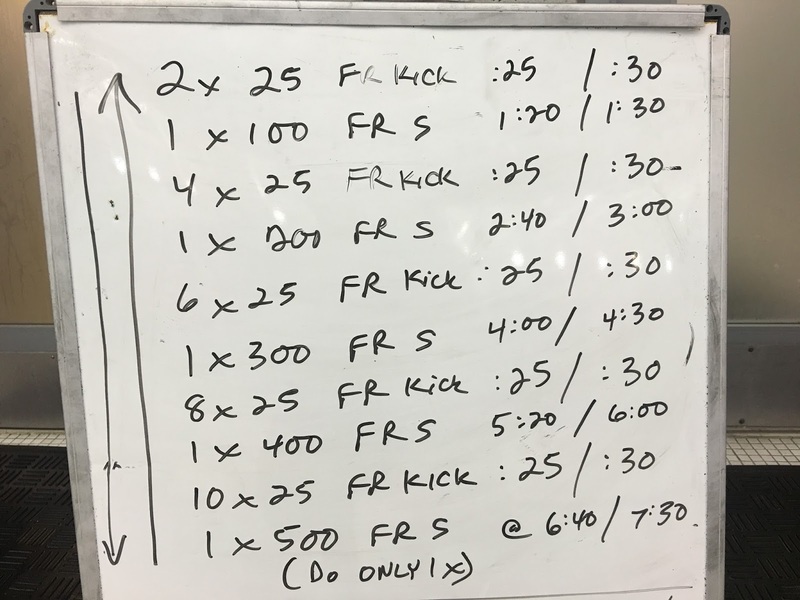 The goal was to build kick each swim with the same amount of effort used on the 25 x kicks.